Liz is a financial advisor and co-founder of Direct Lending Solutions. She specialized in business and finance during her studies at Georgia State University. After a 40-year career with the federal government, she co-founded Direct Lending Solutions in 2004.She is passionate about matters of consumer credit and continues to contribute by sharing her financial expertise with others. 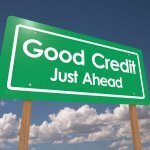 Direct Lending Solutions offers assistance with mortgage refinancing, even if you have bad credit. This is a great time to refinance, so learn how today. If you are facing forecloure, help may be available. There are 8 techniques that may help you avoid forecloruse. Don’t let the bank take away your family’s home.